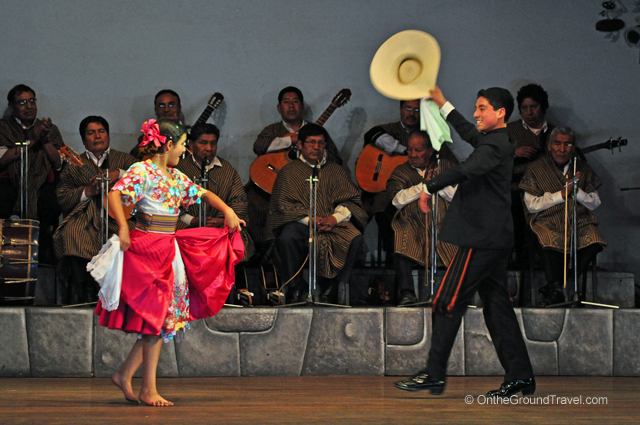 For those of you who have been reading our blog, you know we have been anxiously awaiting the arrival of the Rio Carnival in Feb. As the Carnival celebrates the Samba dance, our travel planning had us really reminisce another very romantic dance performance we saw last year. 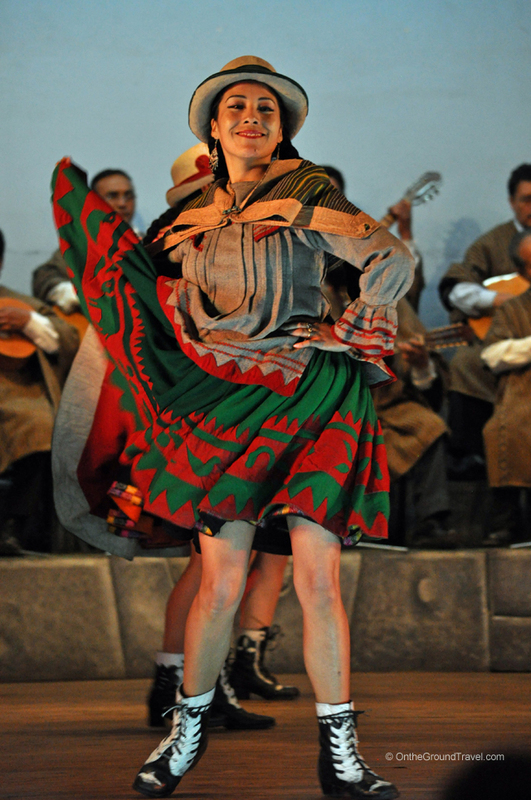 We have heard of the Samba in Brazil, Salsa in Cuba, and Tango in Argentina, but have never learned of the Marinera until we watched it at the Centro Qosqo de Arte Nativo in Cusco. Since then, we have been watching the video below every now and then to “relive” the moment. 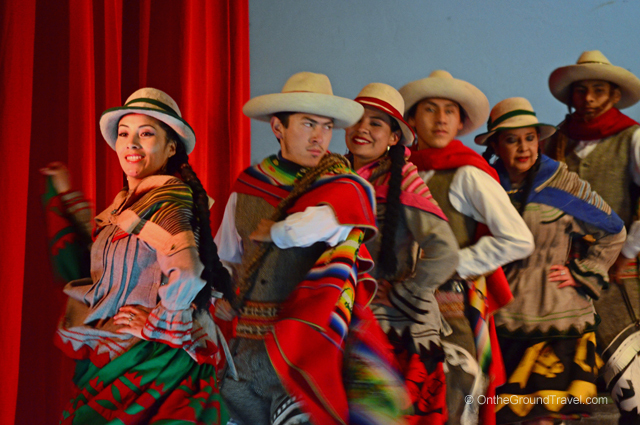 Advertisement: Find special Offers to Peru and the rest of South America on LAN! 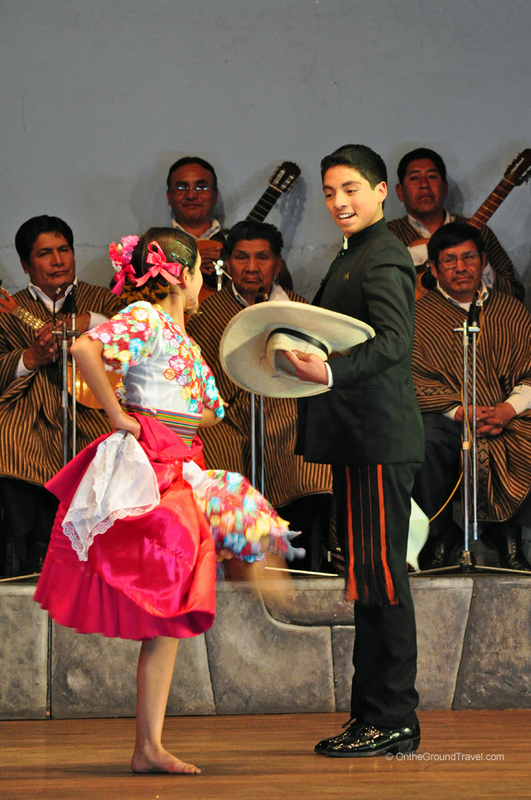 The dance performance also included many other Peruvian dances, although I think the best hands down is La Marinera, which is usually is the last dance of the night. 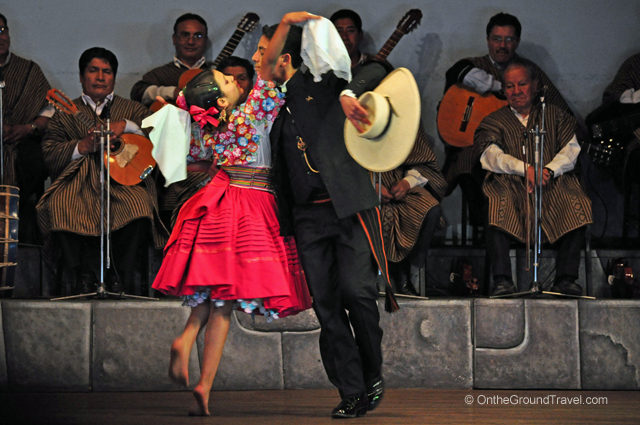 Pictures of the other dances are in the photo gallery at the end of the post. If you like this post, subscribe via email or RSS so you don’t miss an update! 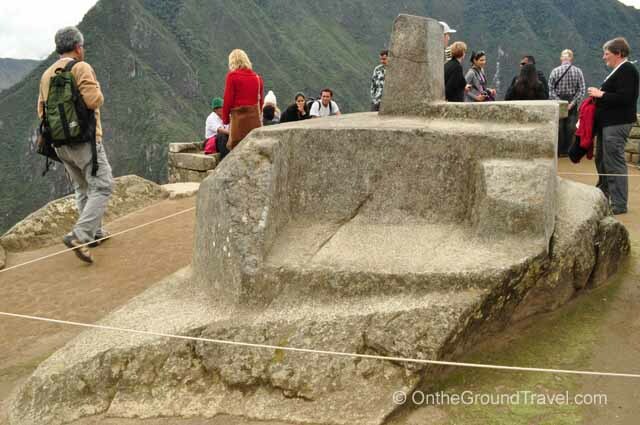 About a month before we arrived at Machu Picchu, we had arranged with the hotel for a tour guide to take us around the famous “Lost City of the Incas”. This turned out to be a smart move. 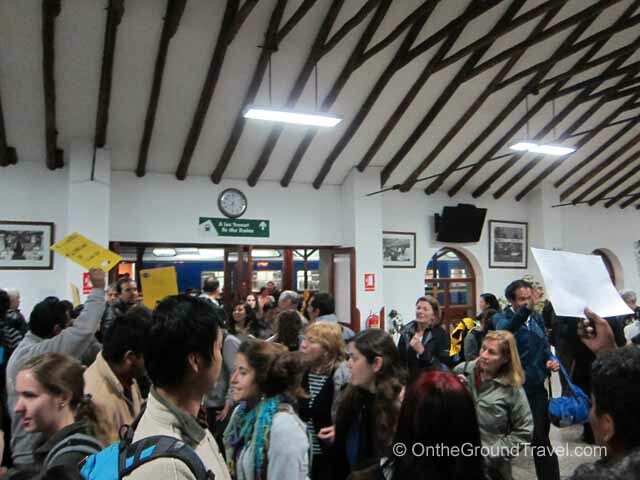 We met with the guide, Juan, at the hotel the night before we went up to review the itinerary and logistics. The next morning, the guide arrived promptly, and we toured with him for the next three hours. 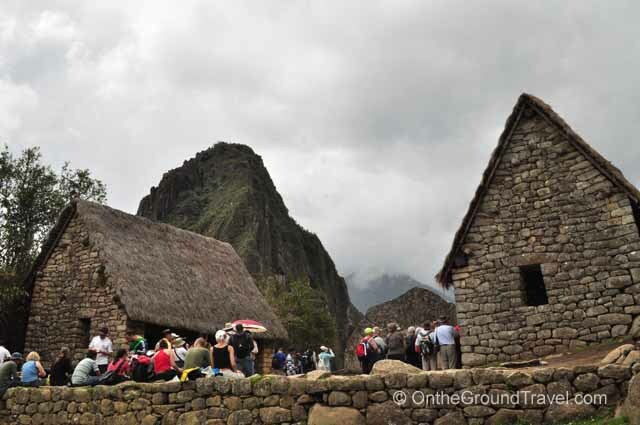 Many times, we have read that freelance tour guides often wait outside the sites for tourists. However, in our experience, that proposition is a hit-or-miss. 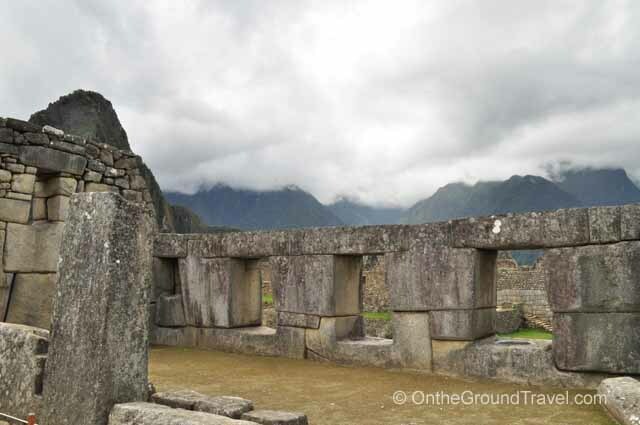 Of all the sites we toured in Peru, we found tour guides at only one of them. So follow that advice at your own risk! 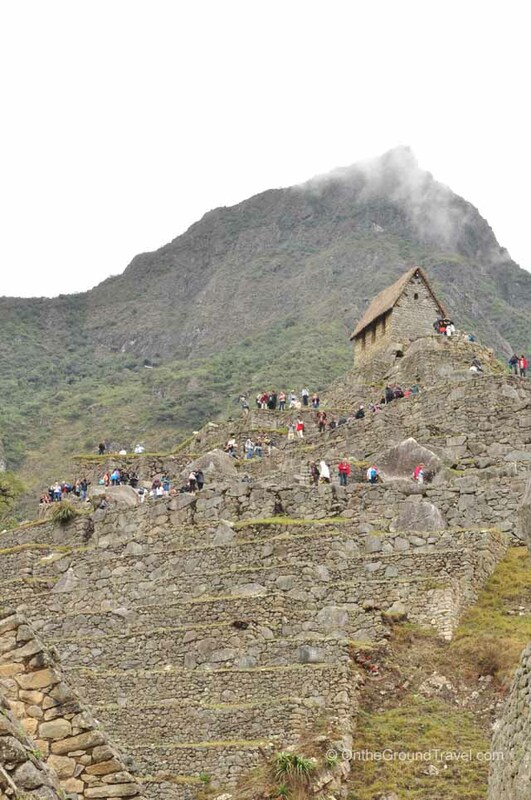 We arrived at Machu Picchu around 6:30am. 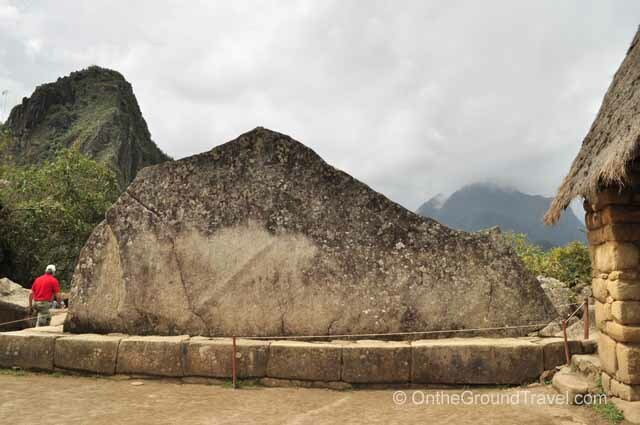 There were already a number of tourists around, but they weren’t overwhelming in number. 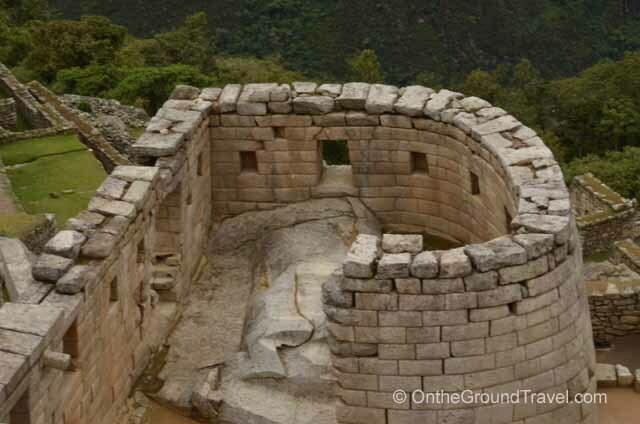 We immediately headed up to the Watchman’s Hut which allowed us to take that must-have picture of the Machu Picchu site. 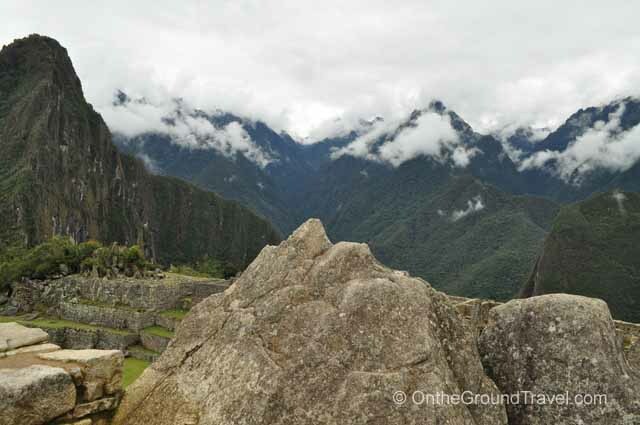 It was cloudy that morning, so despite our best effort to get up early and trek to the top by 7am, watching sunrise atop this historic site eluded us. 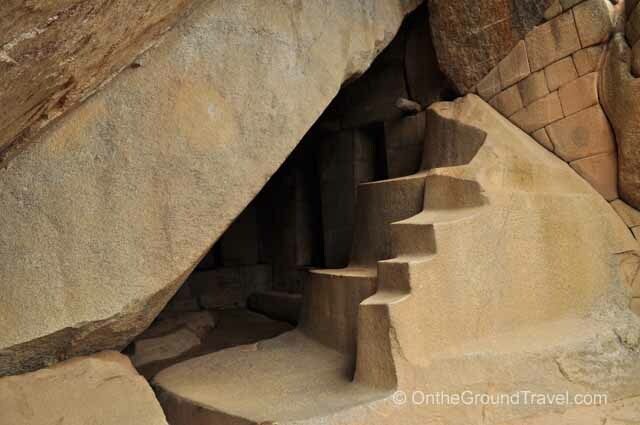 Over the next 3 hours, Juan took us to the Condor Temple, Temple of Three Windows, the Sun Temple, the Royal Tomb, the Sacred Rock, the Ceremonial Rock, the stone quarry, the storage huts and a number of other attractions within the complex. 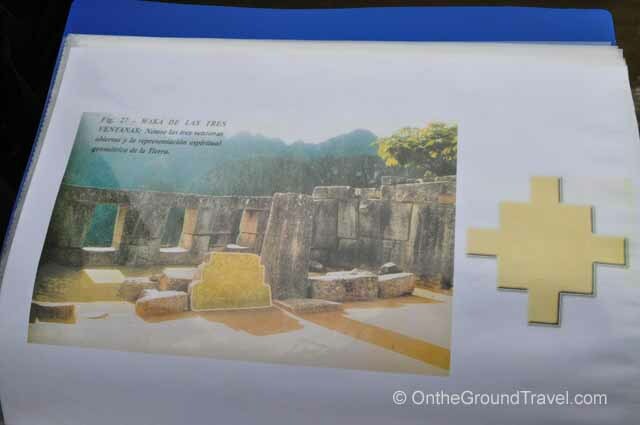 When the official tour with Juan was over, we toured the site once more on our town to take pictures at our leisure. We also picnicked outside. 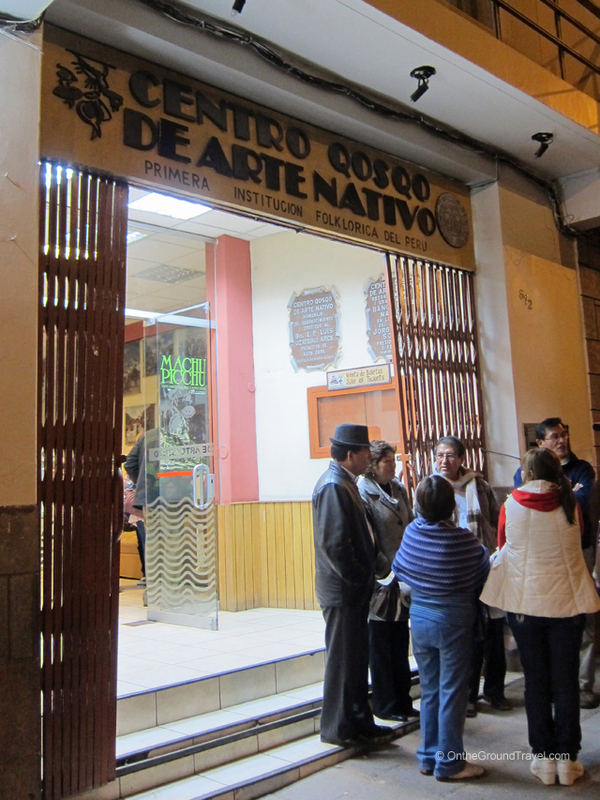 Around 3:30pm, we took the bus back down to Aguas Calientes for a relaxing night in town. 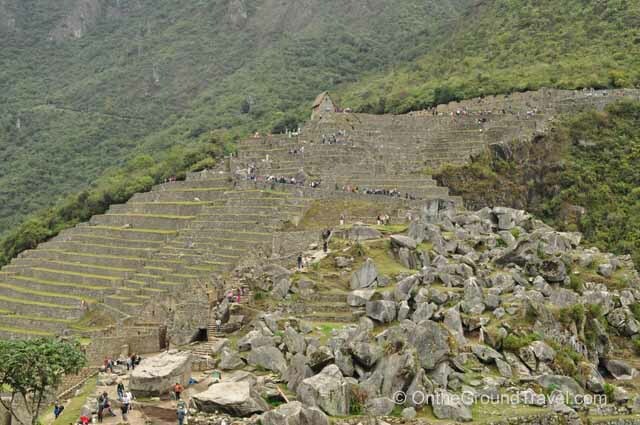 2) The climb to Huayna Picchu requires a separate ticket, and is restricted to 400 people per day (200 at 7am; 200 at 10am). You also have to purchase tickets in advance at the web sites above. 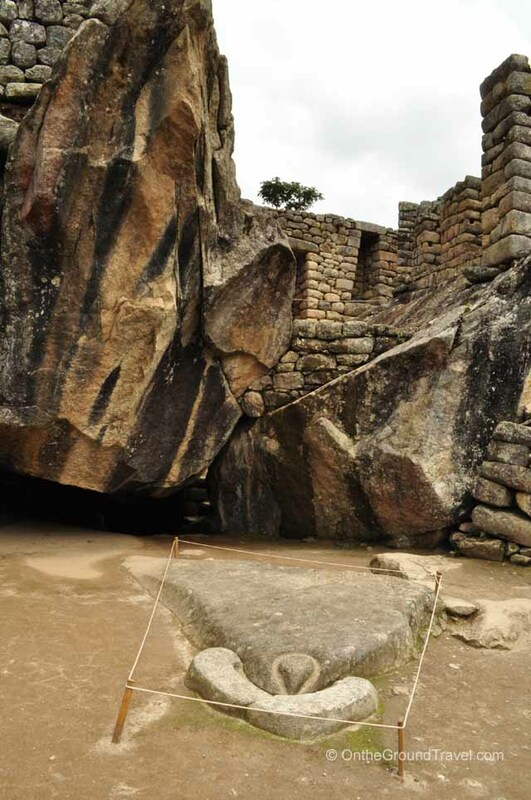 Note that the climb is along steep stone staircases. 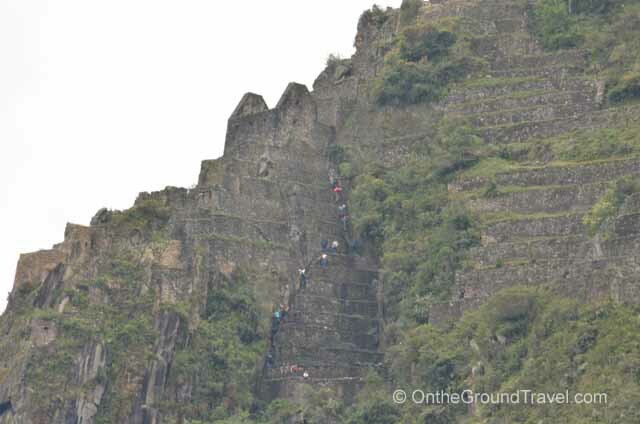 We saw a few travelers climbing on all fours on the way up and down. It is definitely not for the faint of heart! However, the view from the top is amazing! 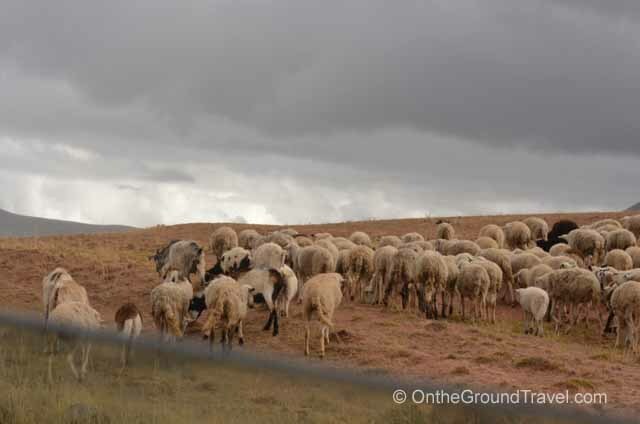 3) If you arrive early and don’t see llamas at the site, try waiting till the afternoon and go back up to the Watchman’s Hut. You don’t want to miss the opportunity to take pictures with the llamas! 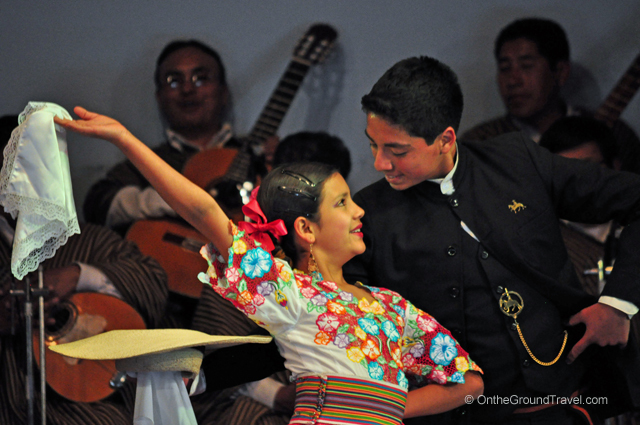 4) Plan to take pictures early in the day or late in the evening. It’s not only because you get the best light at those times, it’s also because tourist buses usually arrive ~9am and stay until ~3pm. 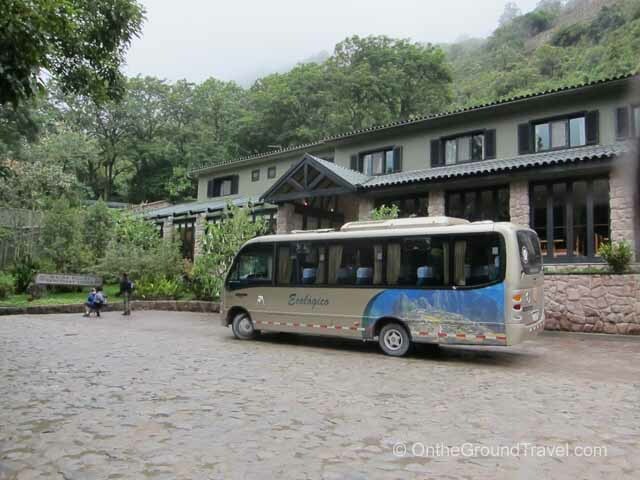 1) The only way to get to Machu Picchu is via car, bus or train. So don’t bother looking into flying in. 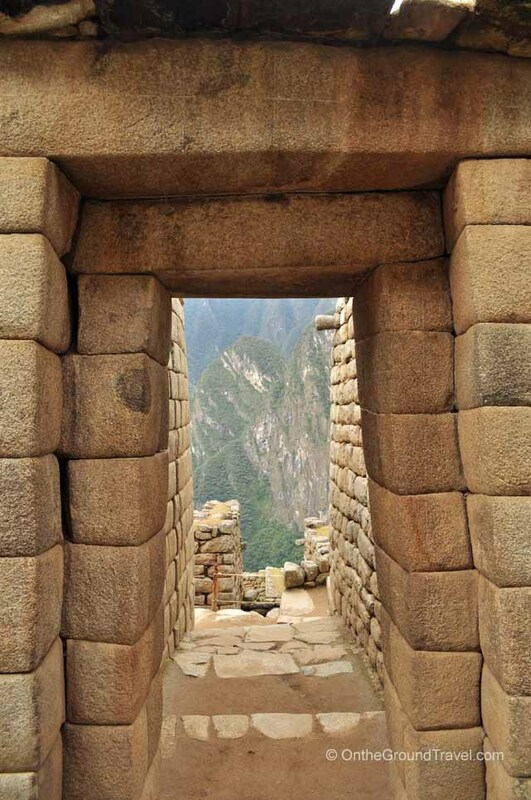 2) Make sure you purchase the train tickets to Machu Picchu well in advance. We purchased ours 3 months ahead of our travel dates, and tickets for some of our preferred train routes / class have already sold out. 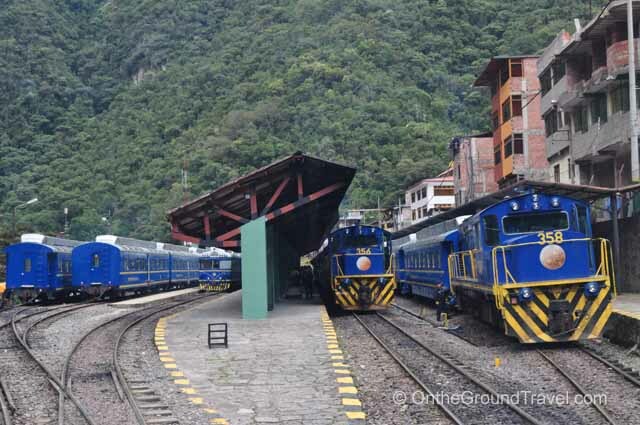 3) From Cusco, there are two primary ways to structure your tour to Machu Picchu and back via PeruRail. 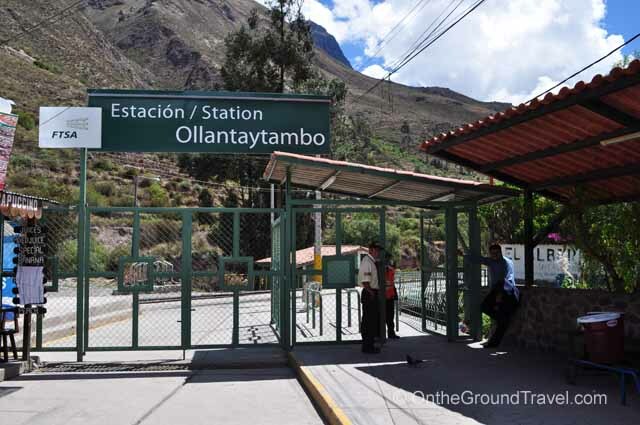 You can take a train directly from Cusco / Poroy, or from the Sacred Valley / Ollantaytambo train station. 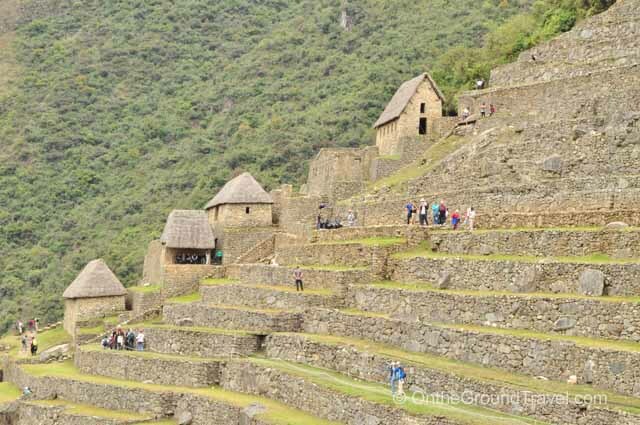 If you choose to tour the Sacred Valley before or after Machu Picchu, make sure you budget in the planning time for this excursion as well in purchasing the PeruRail ticket. Again, train tickets do sell out months in advance! 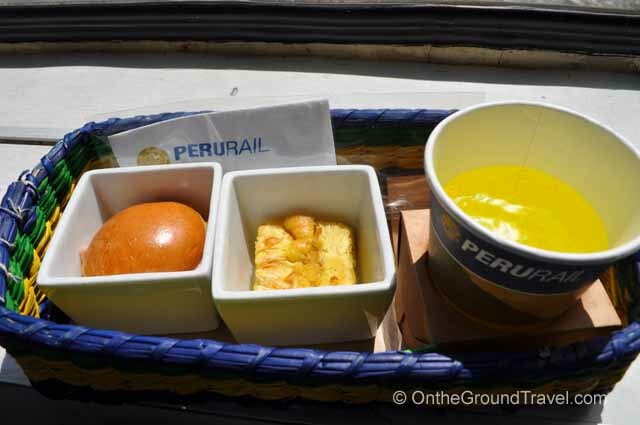 4) While the PeruRail website allows you to pay by credit card, the site is extremely unreliable in accepting card payments. It will often reject the transaction or time out. We tried more than 13 times on one occasion and still failed. 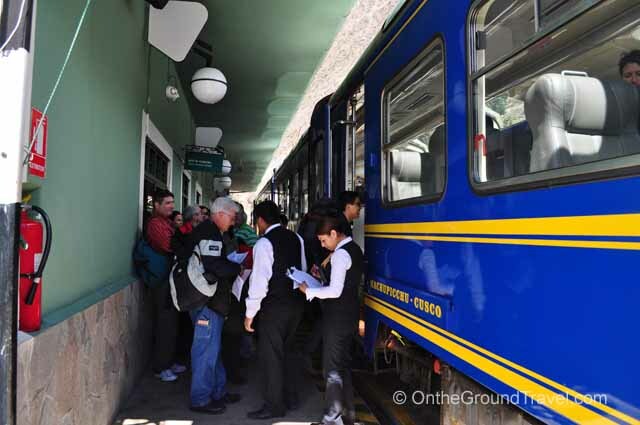 Our best advice is to keep trying, but if you speak Spanish, call the PeruRail desk directly. 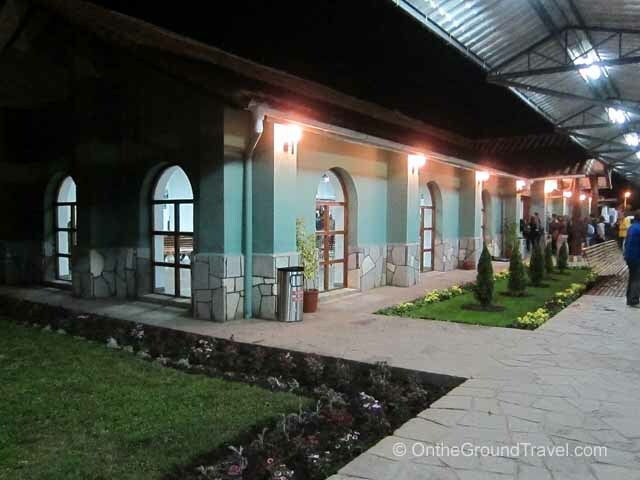 If you call the PeruRail desk, be prepared to provide payment information via emails. 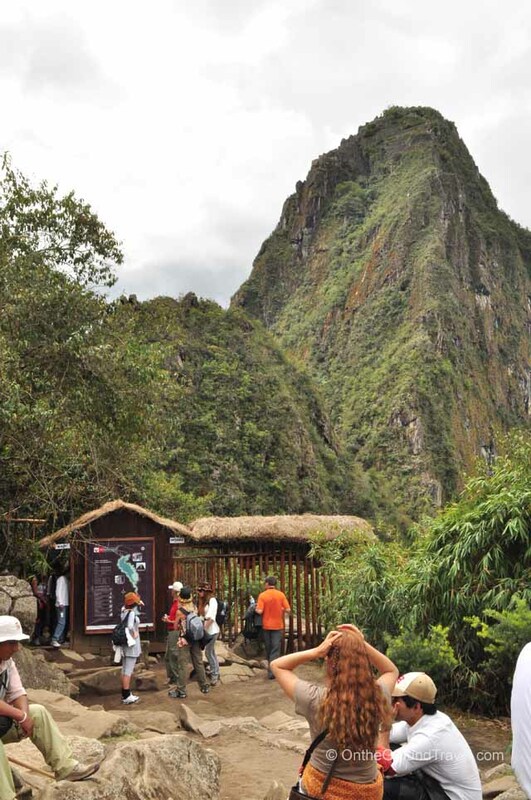 The whole process is very manual, but seeing Machu Picchu is worth it. 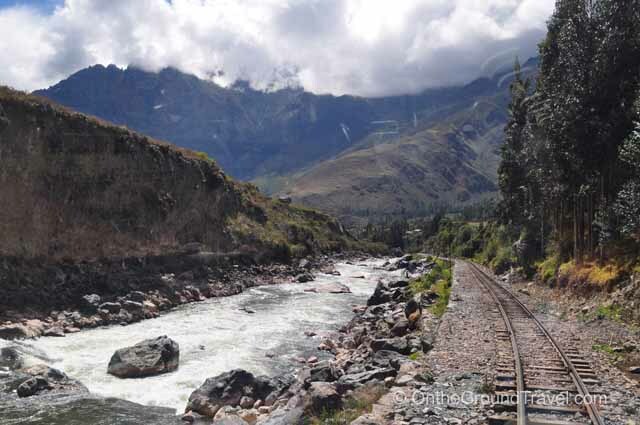 5) The best seats on the train from Sacred Valley / Ollantaytambo to Machu Picchu/ Aguas Calientes are A1 and A2. These seats are located at the front of the train. 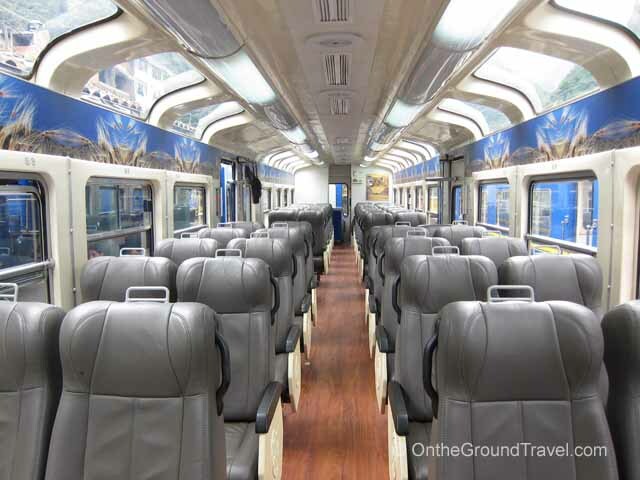 With no seats in front of you and only the train’s glass windows, you will have a great panoramic view of the scenery. 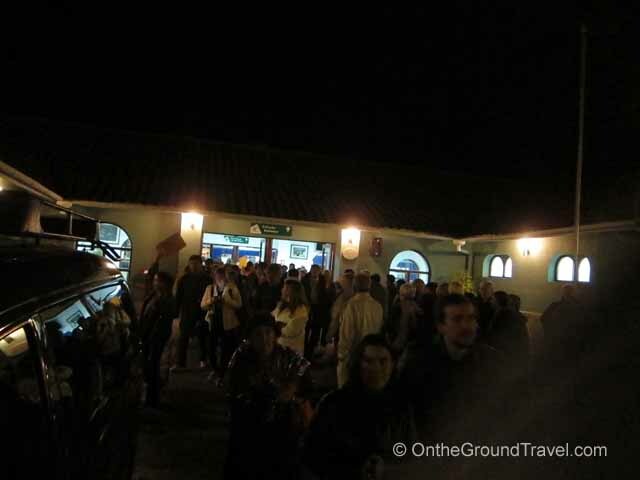 6) Both train stations in the Sacred Valley / Ollantatambo and Machu Picchu / Aguas Calientes sell light food and drinks. Light snacks are also served aboard the train and are included in the fare. So if you are short on time, don’t worry about eating out before heading to the train station. 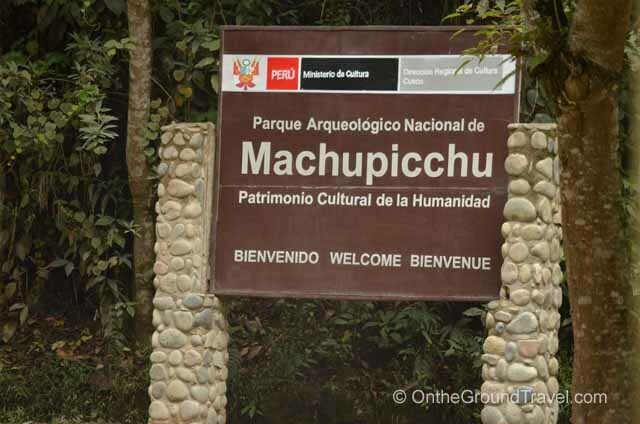 7) Make sure you have the exact change for the bus ticket to Machu Picchu once you arrive at Aguas Calientes. The counter does not accept credit card, and if you don’t have exact change, the agent may tell you to come back later. 8) Buy a one way bus ticket as opposed to round trip. 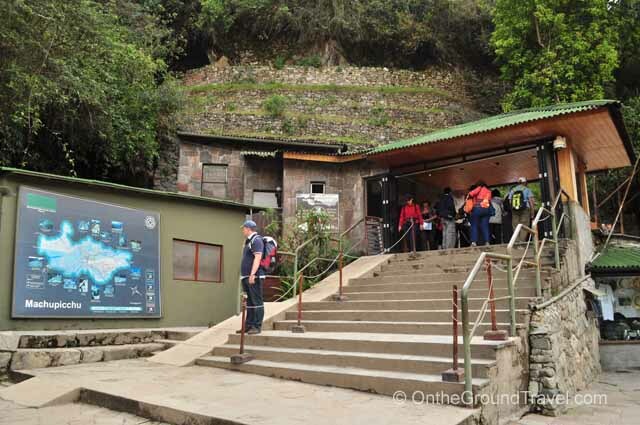 It will cost you about $1USD more, but this way you have the option of walking back down to Aguas Calientes from Machu Picchu, if you so inclined, at the end of day. 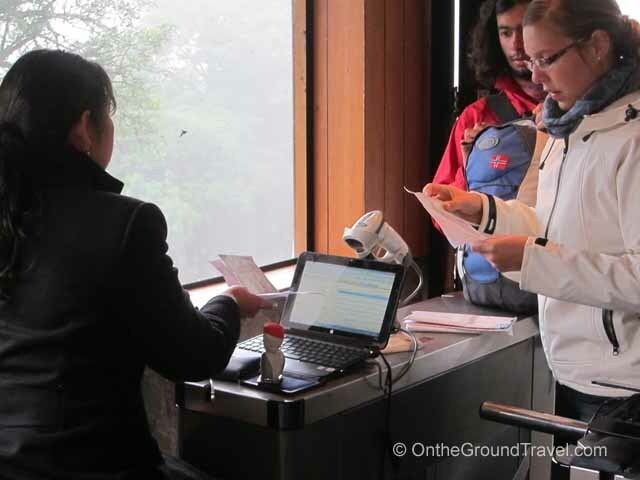 There is a bus ticket counter at Machu Picchu, at the bus boarding area, where you can purchase a one way ticket back down. 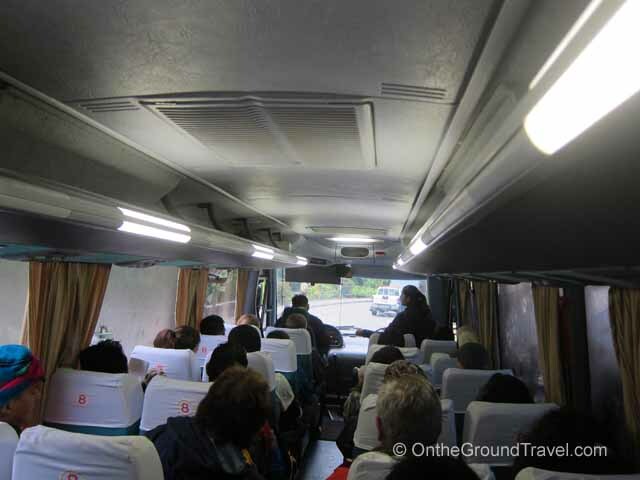 9) Both the train and bus rides are very comfortable. So enjoy the tour! Aguas Calientes is usually a bustling town. 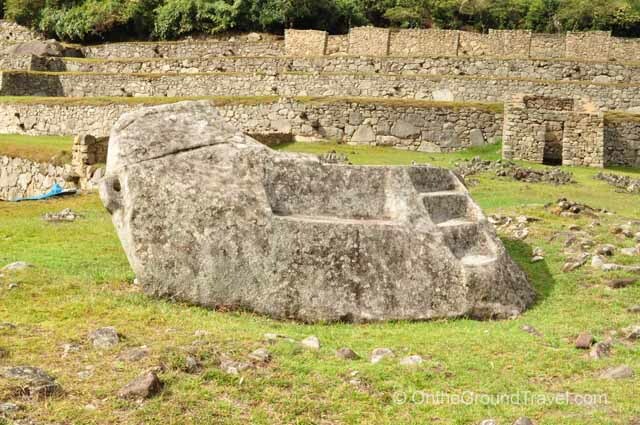 Nestled in the foothill of Machu Picchu, it has the strategic advantage of being a point of passing for all travelers who wish to go up the sacred mountain. But last night, with no warning, the entire town lost power. 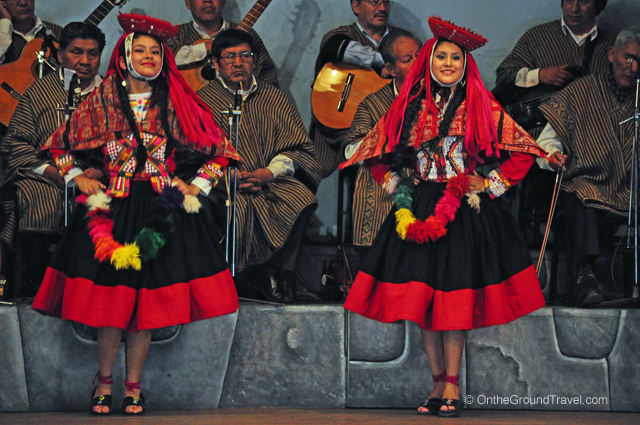 With the Andean mountains surrounding us, we were instantly in complete darkness. While everyone scrambled for flashlights and candles, we looked up to the sky. And there it was. 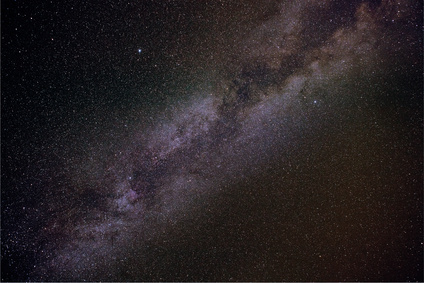 The Milky Way visible right in front of our eyes. Although we have been planning for this sight for some time, nothing prepared us for this. In the middle of all the noise and chaos, we were completely awestruck by the haunting beauty of the Milky Way and the innumerable number of stars that danced around it. Then out of nowhere, three shooting stars flew across the sky. Yep, just like that. They were as meant to be there as water and air and moon and sun and rainbow and lighting and rain. So, thank you for the power outage. Without it, we would have never seen the beauty hidden behind the night sky. Now, can we have another power outage please? 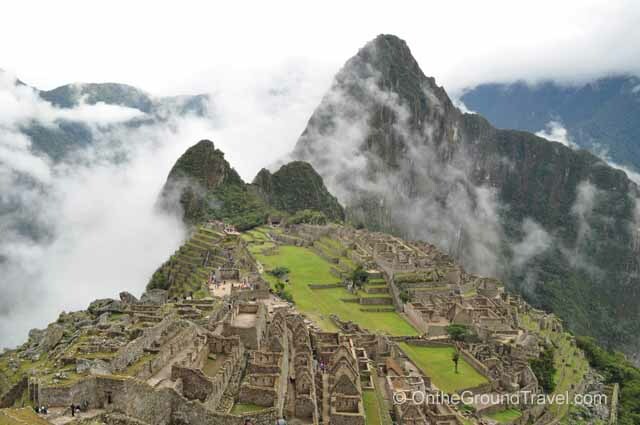 After Cusco, many travelers go straight to Machu Picchu without exploring the Sacred Valley in Peru. 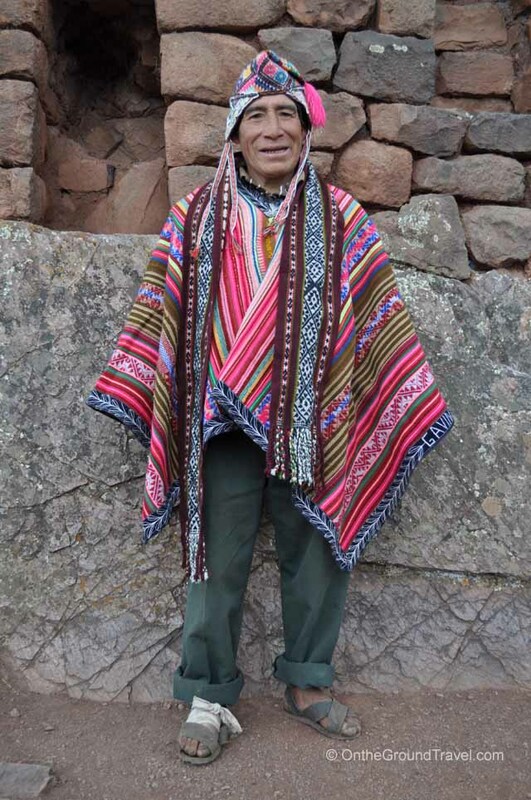 This is unfortunate as we think it is definitely worthwhile to spend some time in the Sacred Valley as well. 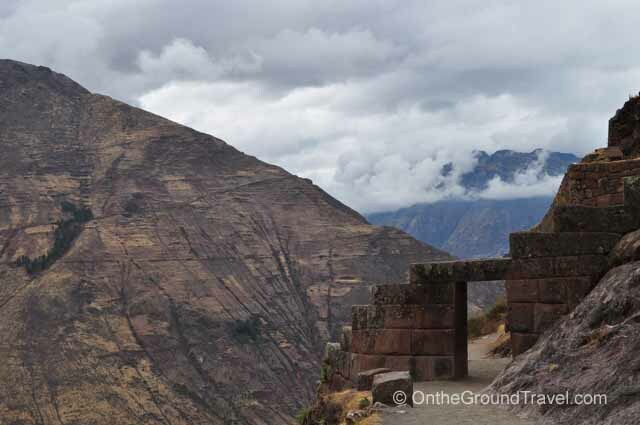 After some research, we decided to hire a car to take us from Cusco through the Sacred Valley to Ollantaytambo. 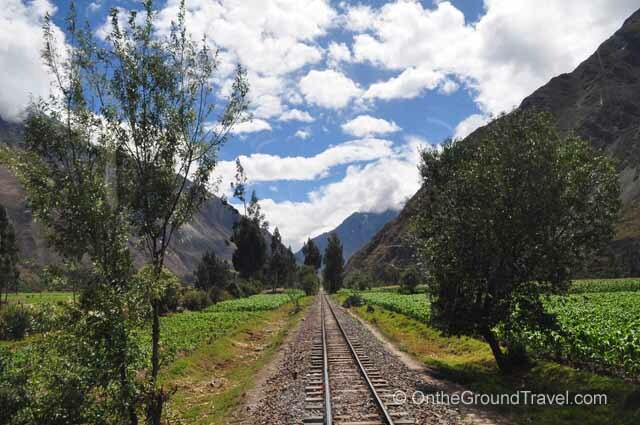 We spent the night in Ollantaytambo, then took PeruRail to Aguas Calientes, the base of Machu Picchu. 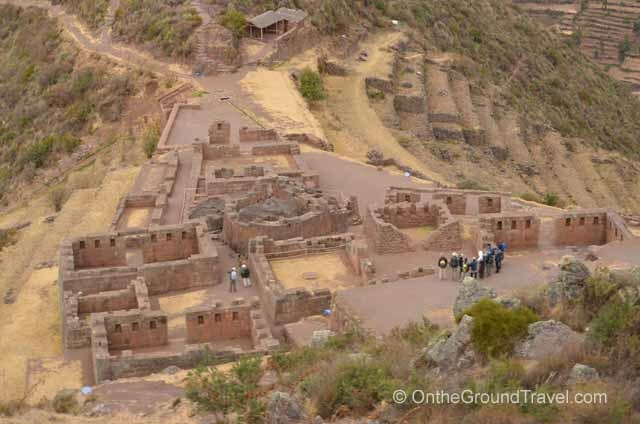 In the Sacred Valley, we toured four sites: Pisac Ruin, Pisac Market, Salinas, and Moray. 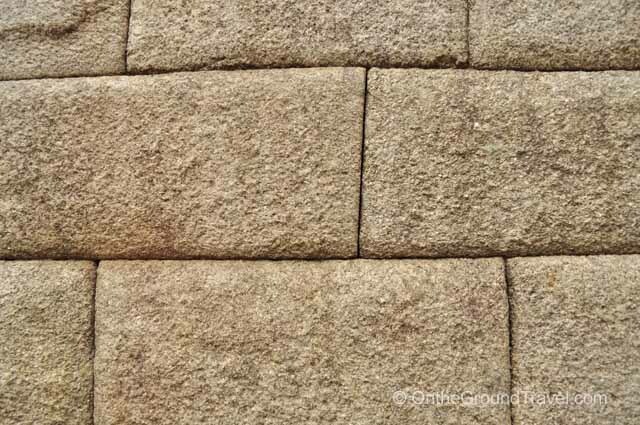 We hired the car for nine hours to take us from Cusco to Ollantaytambo including the four stops, and that was sufficient. 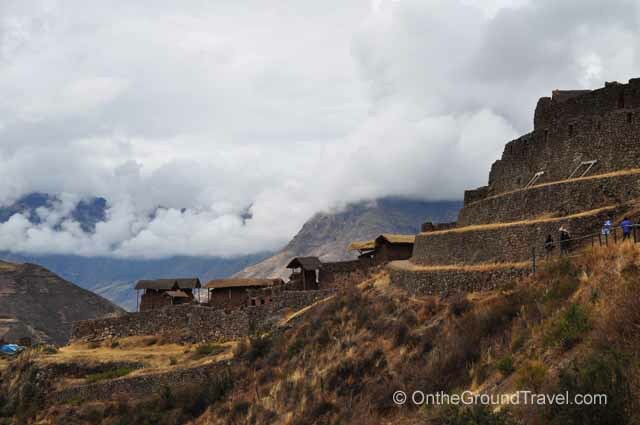 The Pisac Ruin is an Inca citadel that lies on a hilltop with plunging cliffs on both sides. Some trails in the ruin hug the cliff closely, and it takes ~ 1.5 hour to finish the hike if you choose to go to the Sun Temple and back. 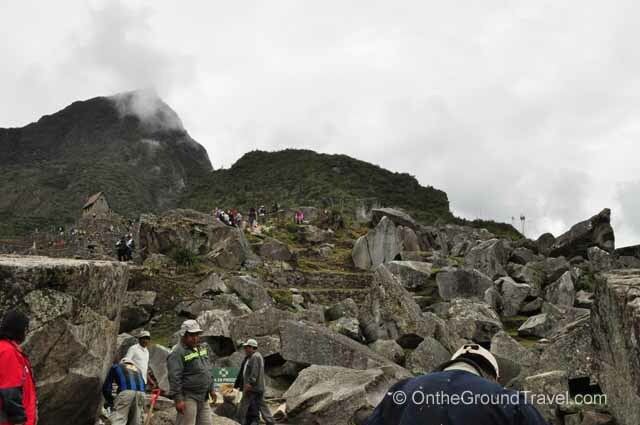 Note that all the tourgroups arrive around 11am so make sure you get there really early to enjoy the site and to get out before the one sole entrance gets jammed with buses and other vehicles! 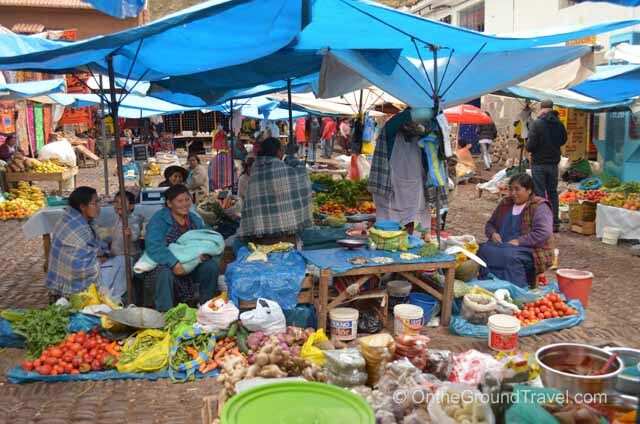 About a 10 min drive away from the Pisac Ruin lies the Pisac Market. 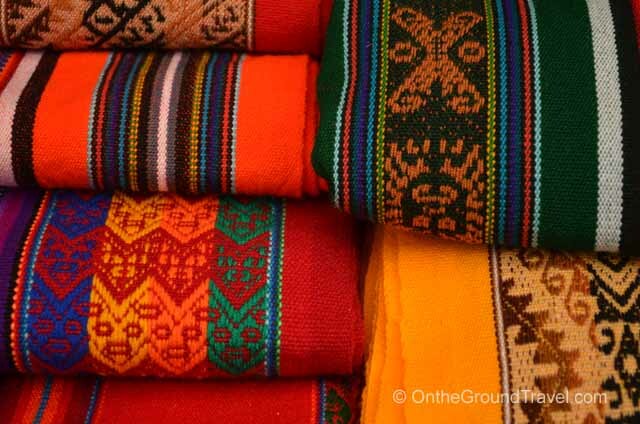 You will find many market stalls there selling handicraft goods and products made out of Alpaca fur. 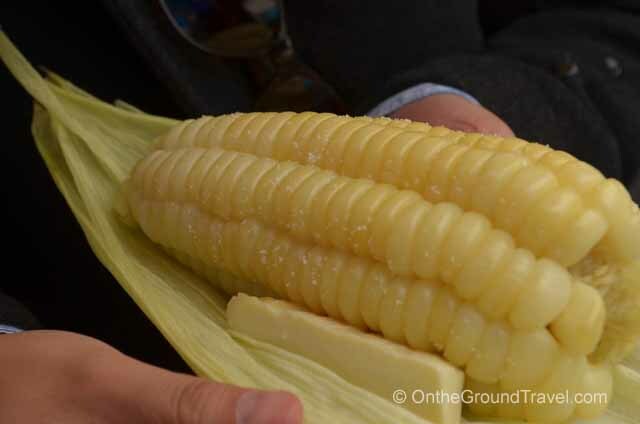 In the market, we stumbled upon a stall selling one of the biggest corn we have ever seen. Each kernel is in the size of a penny. 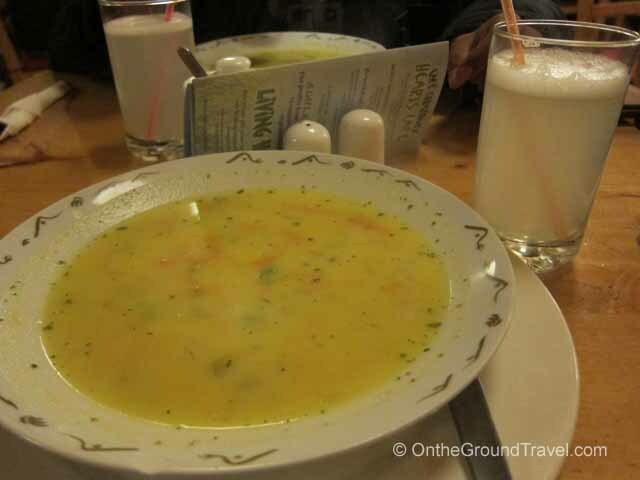 Locals call it Choclo, and one was enough to fill us both up. 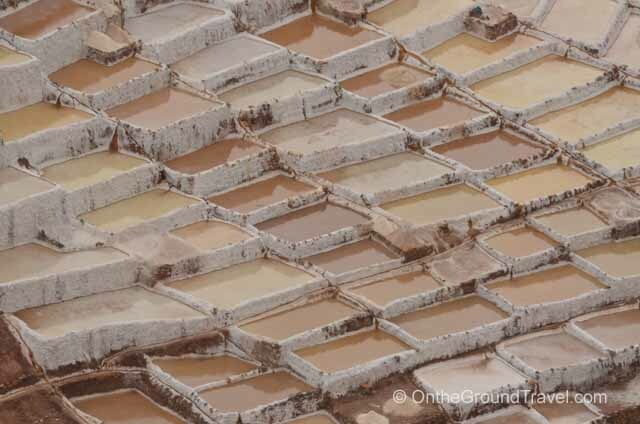 Salinas, the intricately-terraced salt pans, was next. 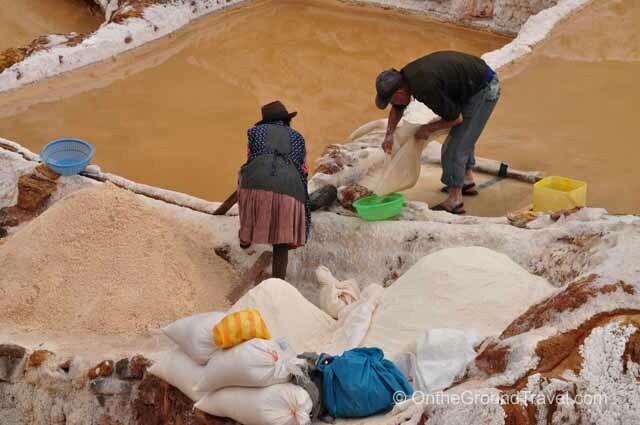 Locals still extract salt from the site today. 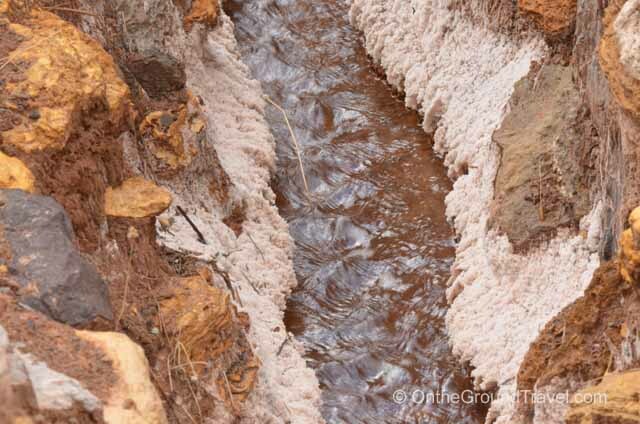 A hot spring at the top of valley provides the salt-laden water for the pans. The water then evaporates to form the salt there. 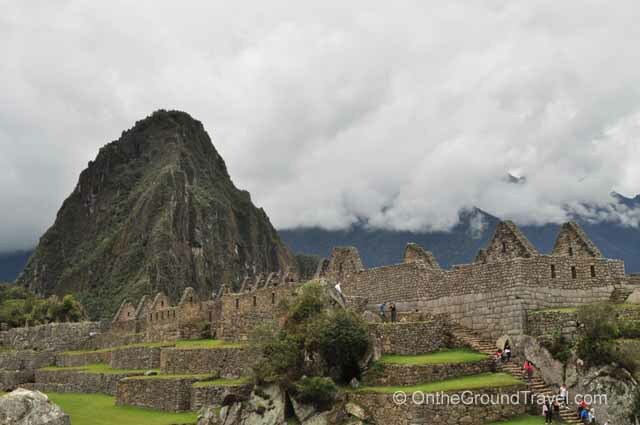 It was truly a spectacular site after days of seeing many fields and ruins. 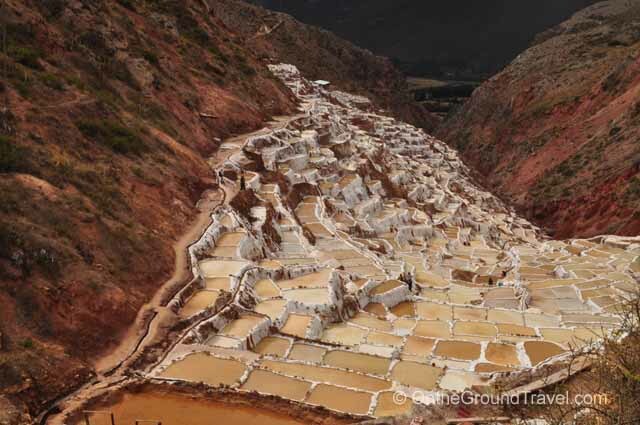 After Salinas, we stopped by Moray, which is an agricultural experimental lab for the Incas. 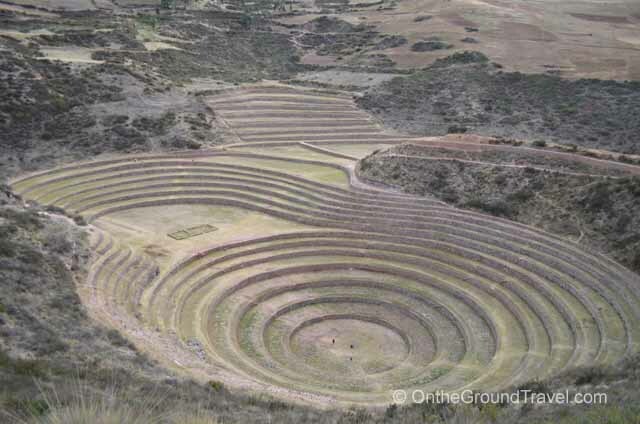 The site has three concentric terraces with multiple levels carved into the hill. 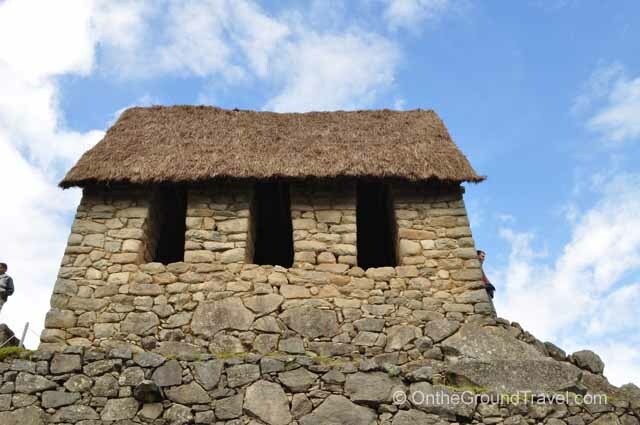 Each level has a different microclimate, allowing the Incas to determine the optimal conditions for growing crops of different species. What a smart idea! 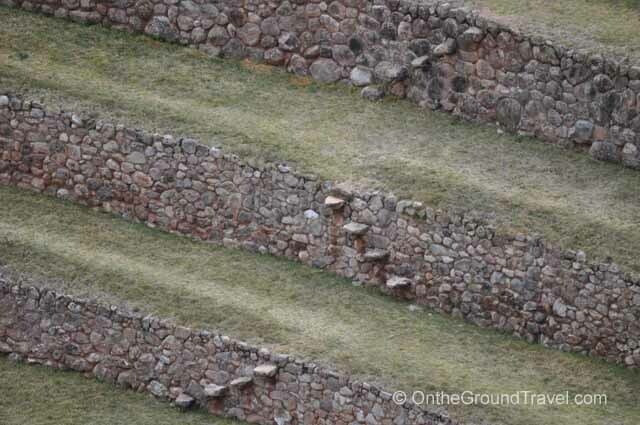 To tour the site, be prepared to walk up and down the terraces. 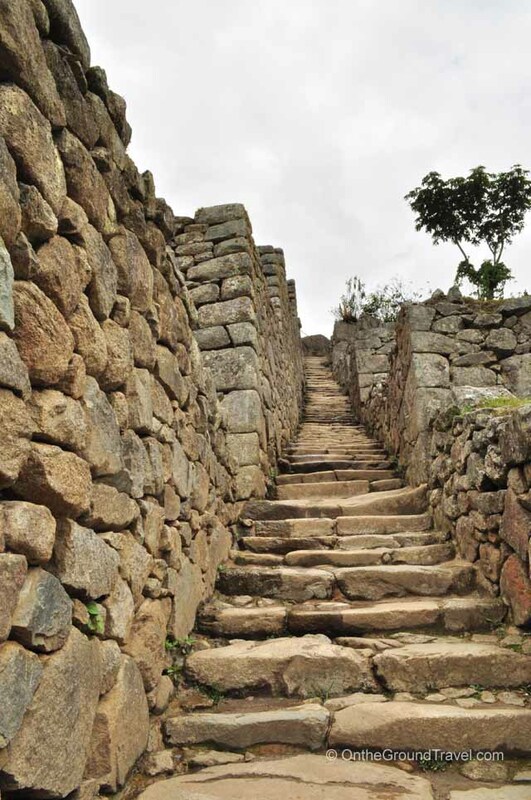 The steps between terraces are stones that jut out from the walls of the terrace. 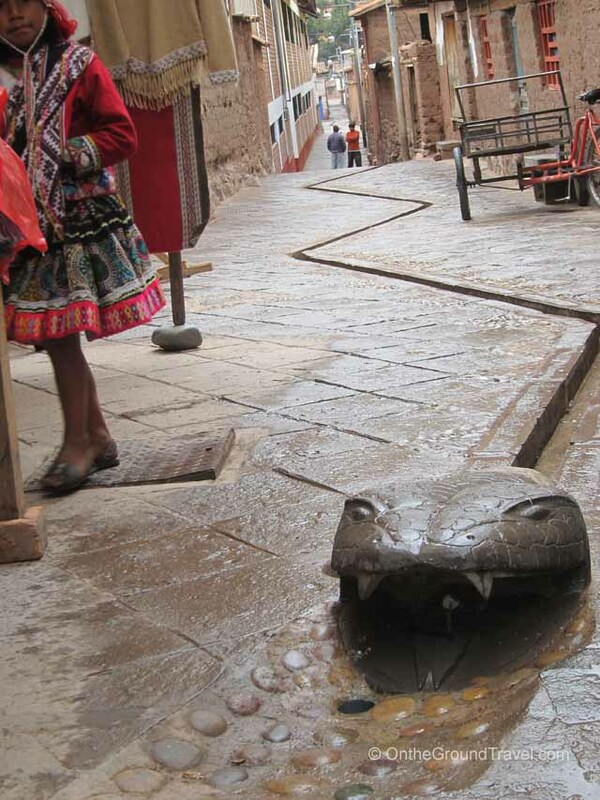 Some are very narrow and deep so watch your footing! 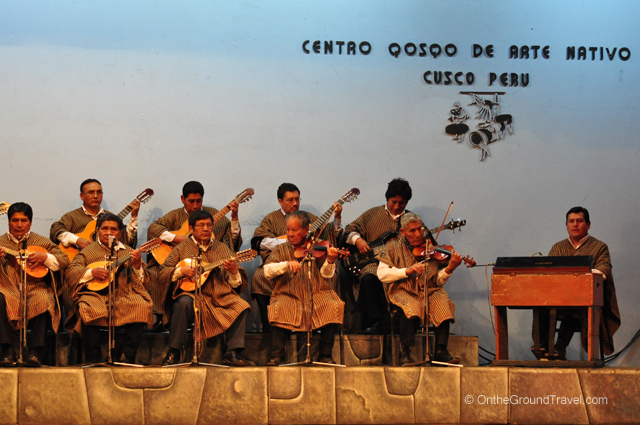 We ended the day in Ollantaytambo, a small and restive town with Andean mountains as its backdrop. 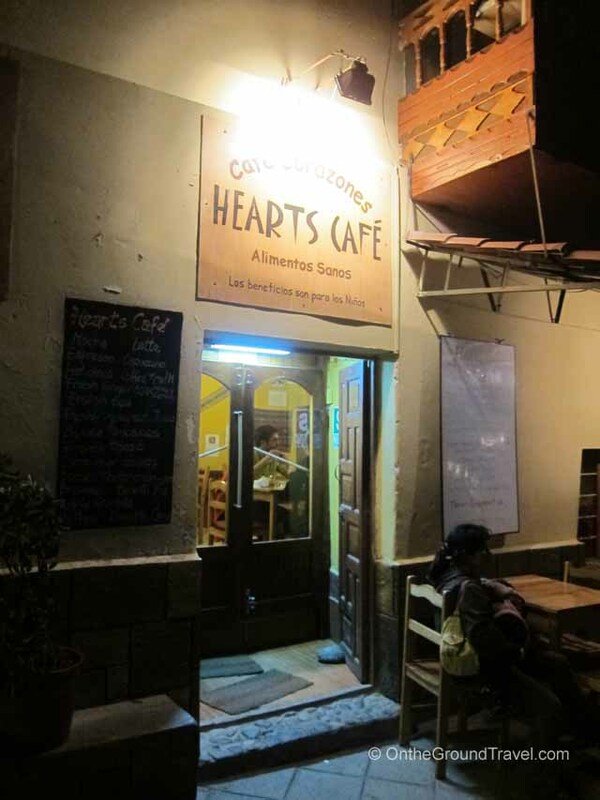 Right by the town square, there is a restaurant called Hearts Cafe. It was started by a British woman, Sonia Newhouse, in 2007. 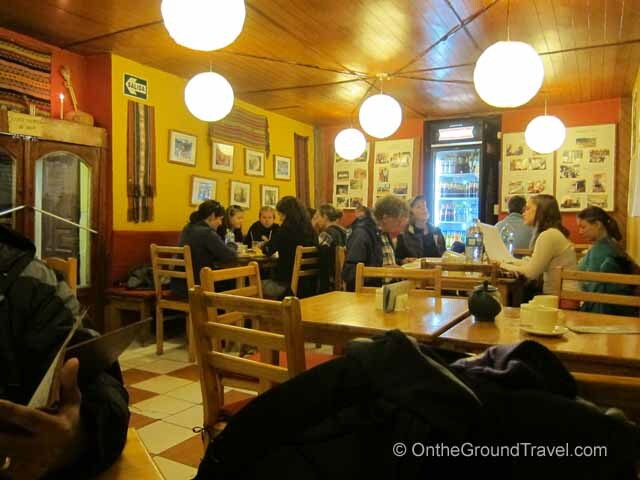 Profits of this restaurant provide funding for her charity which aims to improve the living conditions of rural communities in the Peruvian highlands. 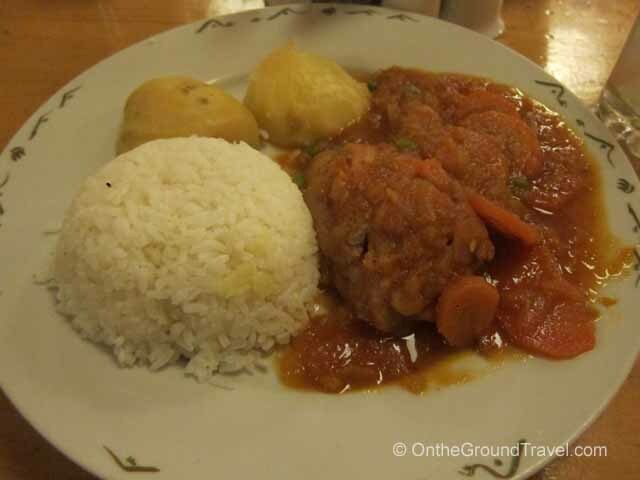 The restaurant serves hearty home-made food in generous potions at reasonable price. For a good cause and a great meal, we highly recommend our fellow travelers to dine there as well! 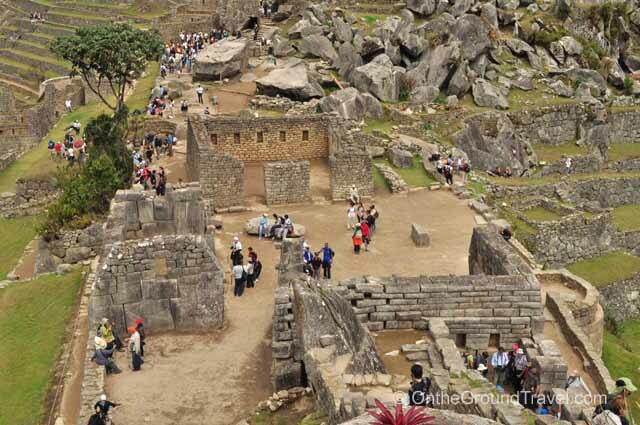 1) The Pisac Ruin and Pisac Market are in two different locations. So if you are planning to hire a car to these sites, make sure you specify both locations as separate stops. 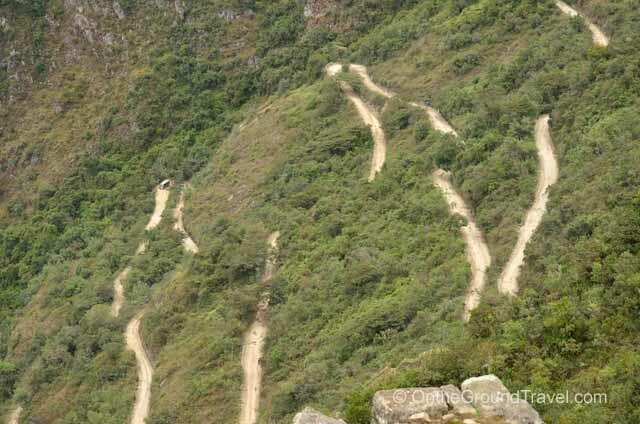 2) You will be hiking up and down hills quite a bit! There are many steps to climb, and some of them are deep, uneven, and narrow steps. 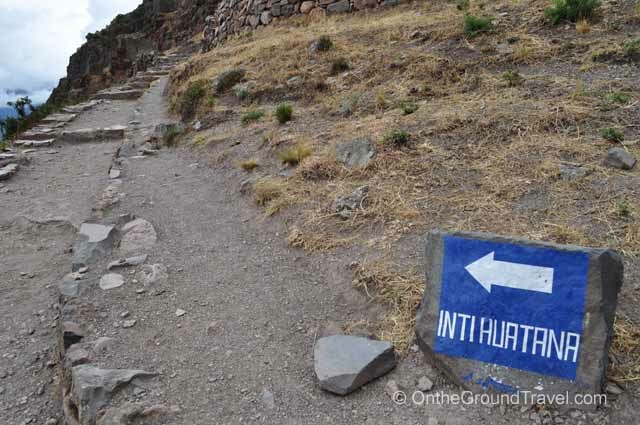 A trekking pole will come in handy, especially in the Pisac Ruin and Moray. 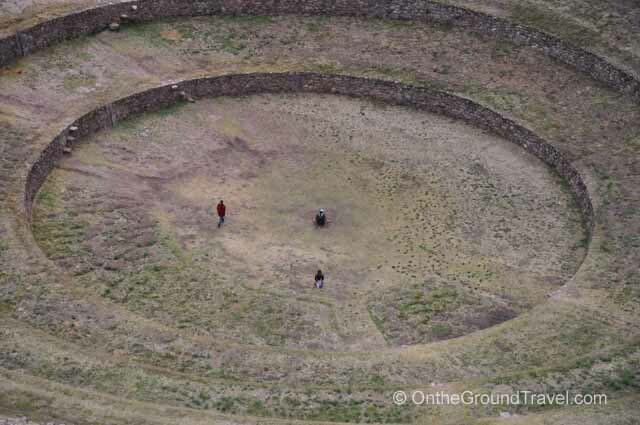 3) In Moray, locals believe positive energy concentrates in the center of the lowest concentric circle in the main terrace. If you’re up for it, hike all the way down and spend a few moments there. 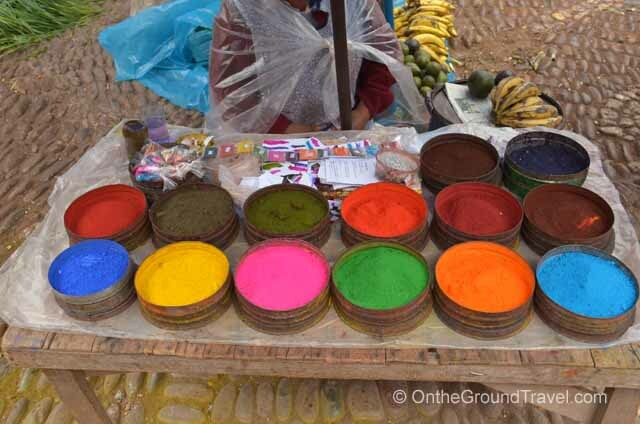 You may find some locals (and other quick footed tourists!) have beat you to it. So be patient, and wait for your turn. 4) Be prepared with loose change if you need to use the public restrooms. You will always find someone outside the restroom collecting an entrance fee (~1 soles, ~$0.40 USD) either before or after you use the facility. The facility is usually clean. 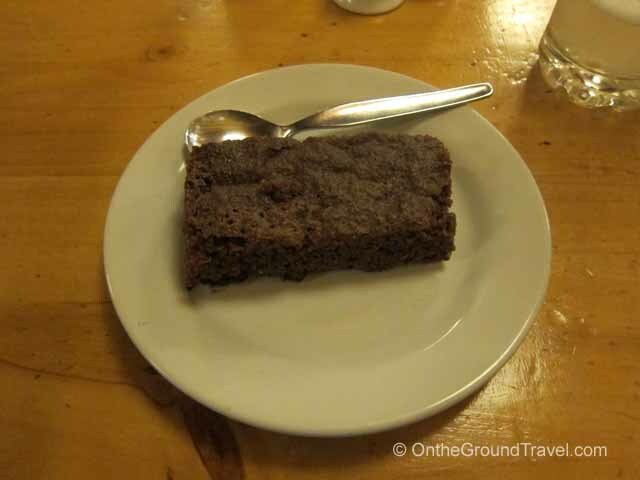 5) In Ollantaytambo, we highly recommend dining at the Hearts Cafe. It’s for a good cause. The meal is delicious, comes in generous potions, and at a great price. You can’t beat that!